Buy an Easter Basket especially designed for teens. Let's face it once our kids reach it certain age it isn't cool to look forward to getting an Easter Basket. At least that's what they like us to think, deep down they really can't wait to sink their teeth into some delicious sweet treats. We have the perfect Easter basket for teens. 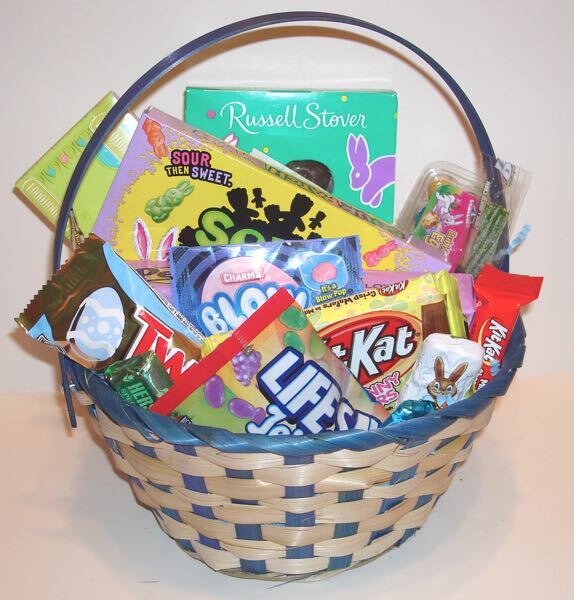 No toys, no silly stuffed bunnies just a basket full of candy that appeals to our teens. 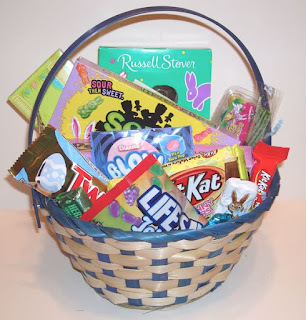 It seems the teens like chocolate, gum and sour candies so that is exactly what you will find in these Easter basket. And some mini candy bars. When trying to decided what Easter basket to buy for a teen, this one is perfect. Have it delivered right to your door with a personalized gift message.